Don’t let your toes be exposed! For your safety, please wear close-toed shoes any time you are at Food Bank of the Rockies warehouse. That means no sandals or flip flops – even in the hottest weather. Your Community Impact Report is Coming Soon – See How Your Program Makes a Difference! Community Impact Reports (CIR) will be released September 2018. You’ll be able to review pounds received, meals provided, and your average ASF per pound. You’ll also receive a breakdown of how you received those pounds and your peak status. Use your report for submitting grants, setting pantry goals, displayed for your clients, and sharing with your community. 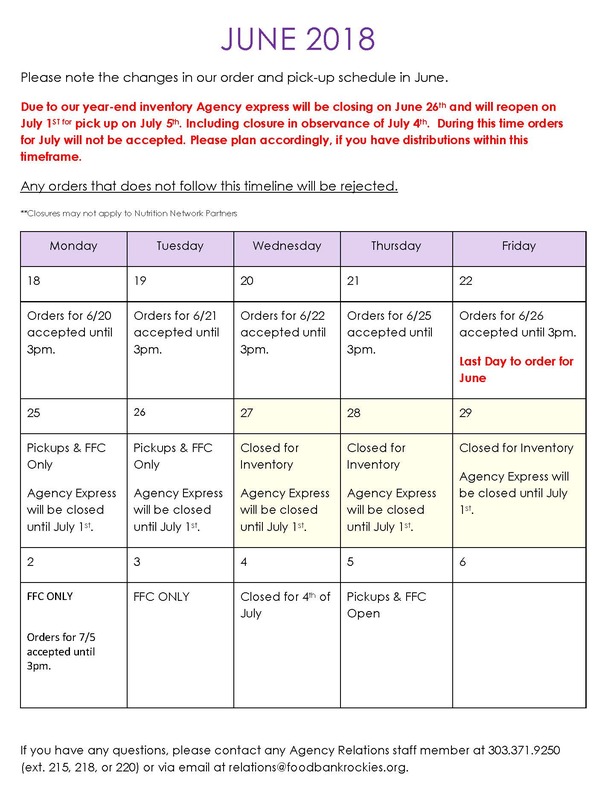 Do we have your current mailing address? Let us know if you’ve moved so we can make sure your report gets to the right place. Need a copy of last year’s report? 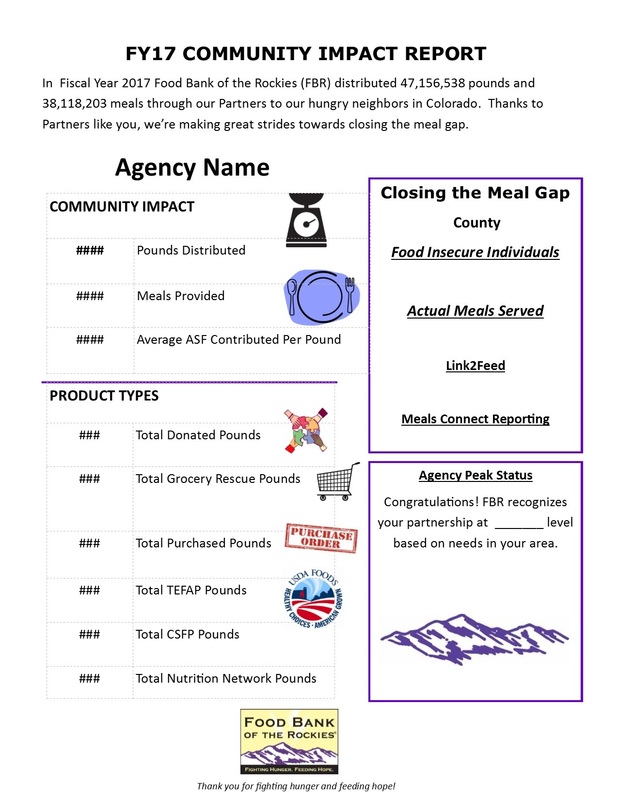 Email relations@foodbankrockies.org with your request and we’ll send one to you. L2F’s online database ensures that we provide the best services to our clients by offering a one-time intake, informing clients about additional services and resources, all while maintaining their confidentiality. L2F is secure, user-friendly, convenient, and makes your program’s data collection, reporting, and communication easier! Are you familiar with Link2Feed? Do you want more information on Link2Feed?